The very first successful human to human heart transplant was performed in 1967 by a team of specialists including Heart Surgeon Dr Marius Barnard. Not only was Dr Barnard part of the team that changed medical history, but he’s also responsible for the introduction of Trauma insurance in Australia. Dr Barnard noticed that improvements in medical care meant that many more patients were now surviving and recovering fully from their medical conditions but in doing so were suffering from financial stress and the financial burden associated with the cost of treatment and recovery, not to mention time out of work. So in 1983 Dr Barnard launched an insurance product called “dread disease insurance” which covered four major medical conditions being heart attack, stroke, cancer and coronary artery bypass surgery, also known in the industry as the “Big Four” medical events. 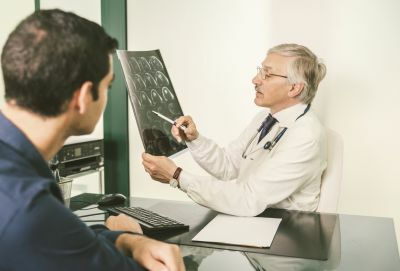 The policy was designed to pay out a lump sum at the time of diagnosis to help ease the costs associated with being treated for these four medical conditions. Over the years, trauma insurance policies have expanded in offering and now provide a much greater level of cover which can vary in terms of definition and range of medical conditions covered. Most policies offer two types of cover: standard and plus cover with the standard cover providing a more limited style benefit and lesser range of medical events covered than a plus policy. Typically a trauma policy could now cover anywhere between 15 and 50 specified medical events. Whilst the trauma insurance product has evolved significantly since 1983, the Big Four (heart attack, stroke, cancer and coronary bypass surgery) still remain some of the most commonly claimed medical conditions. Statistics show that more than $621 million was paid out in Trauma claims in Australia in 2013*. This is likely to increase with the Cancer Council of Australia forecasting 149,990 new cases of cancer to be diagnosed in 2020, up from just 47,388 cases diagnosed in 1982. Recent statistics also show that for women, the most common claim for a trauma policy is cancer, with around 81% of trauma claims being paid out for this condition. Men have a slightly different claim potential with 48% of trauma claims being for cancer and around one third arising from heart-related issues. Calculating the exact level of cover needed will be different for everyone. A trauma policy can provide funds to help prepare for the unexpected. It can assist by providing funding to pursue top-level medical treatment, travel to seek medical assistance or allow a partner or spouse to take some time off work to provide care. It could also cover medical and treatment costs and out of pocket medical expenses, replace income in the event that you can’t work and go towards reducing or repaying debt. To work out an appropriate sum insured for Trauma cover, typically a needs analysis will be required to take into consideration your own personal and financial requirements. It’s important to note that trauma insurance policies are no longer able to be held inside superannuation. Instead they must be in a policy outside superannuation in a standalone policy or as a policy that is linked to a death and disability (TPD) policy inside superannuation. If you’re interested in reading more you can check out our insurance planning module, read this article on Children’s trauma cover or speak to your Adviser about how to tailor cover to suit your needs. * Statistics provided by The Risk Store (TRS), based on data taken from the following insurance companies: AIA Australia, AMP, Asteron/Suncorp, BT, ClearView, CommInsure, OnePath, Macquarie, MetLife, MLC, TAL, and Zurich.